So I’m considering homeschooling my kids. Just CONSIDERING it. I go back and forth between both sides of the issue – I could debate myself endlessly on the subject. There are days when I am convinced that my children would benefit from being exposed to lots of different teachers and the fresh new experiences they have to offer. Other days I’m drawn to the personalized education I could give my kids, and the freedom it would bring to our schedule. And just to emphasize her point, she shouted over to another teacher friend of hers who was playing nearby with her kids. She concurred with my friend. I was left with the impression that homeschooled kids have problems making their way in the “real” world. Those comments sent me into a tailspin. I thought homeschooling was supposed to produce brilliant kids, ones who thrive from an individually tailored education! I thought it would make my kids better, not outcasts from society! And I thought it would create such closeness within our family that it would all be worth it! Am I wrong about all of that? Fortunately, I have another year before my son starts kindergarten, so I can delay making any real decisions. This year, I’m doing a sort of homeschooling test-run. I’m not following a store-bought curriculum, but I do have a plan every week for what topics we’re going to cover. I have a master list of lessons that I want to teach my 2-year-old and 4-year-old, and I just sort of pick and choose off the list based on what we’re interested in at the time. And (I think) most importantly, I’m staying flexible. I’m open to changing things as our needs may change. 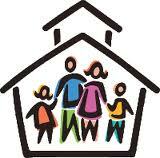 What is your opinion about homeschooling? Do you have any experience with it? Did it work for you, or was it just not the right fit? I think homeschooling is, like all parenting decisions, a personal choice. It’s another one of those things that may or may not work for your family. I homeschooled my daughter from birth until the end of first grade. She is now enrolled at a public elementary school for 2nd grade. I think it was a wonderful experience. From the beginning, I didn’t feel like we’d be in it for the long haul, but I do wish I could have continued to do it for another year or two. Is standing in line really THAT important of a skill? I don’t think so. Nor is speaking without raising your hand. That’s all the silly little things that might annoy an impatient or closed minded teacher in the first weeks of school. My daughter spent the first week or two trying to figure all that stuff out… but we’re wrapping up week 5 of the year, and none of that stuff is an issue. I think homeschooling is wonderful for any kid who’s parent/teacher is committed to spending. Lots of spending. Mostly time researching curriculum options, individual lessons, looking for extra curricular activities, playgroups, maybe a co-op or two. If you buy a “school year in a box” – that’s spending a bit of money – but I have to admit it was totally worth it!!! As far as the anti-social circus freaks… well, they do exist… I’ve met a few. But, usually those kids are the ones who’s parents have not left the house… the ones who’s kids maybe were having issues at school and pulled them out in a frustrated “oh forget it, we’ll just homeschool” sort of way. Often just running to an educational supply store and picking up a workbook in each subject and not spending the time to truly research the material or teach it properly. The kids are not enrolled in an art class, group PE, or Sunday school… or even go to the park for a playgroup once a week. I know a lot of homeschoolers. There are large communities of wonderfully intelligent parent/teachers who understand the need to balance social and academic time into their weekly schedules. I could go on praising homeschooling. I also get that it’s not the right fit for some families. Right now, it’s not the right fit for us. It’s really encouraging for me to hear about successful homeschooling stories! And you’re right Tanya, it is such a personal choice, and nothing is right for everyone. I have started our first “official” homeschool year this year (for my 4-year-old and 2-year-old), and I am EXHAUSTED. It’s not the teaching that’s difficult, it’s the preparation! You were definitely right that it takes a lot of time researching to set up my weekly curriculum. And this is just PRESCHOOL! But I am so encouraged by the fact that my kids are absolutely loving it. We’re doing a “letter of the week” each week, and they both get so excited about it – “Can we do another ‘J’ work?” The time it takes to get things prepared is wearing me out, but it definitely helps once we are sitting in the classroom and I have things ready to go. Kelly, I guess my interest in homeschooling is that I really enjoy being with my kids and teaching them about the world! In a lot of ways, I always have homeschooled, even though I didn’t officially call it that. We’ve always been learning at home – how to read, do math, discover nature, be creative, etc. It’s hard to imagine not doing all of that anymore! P.S. Tanya, your Pledge of Allegiance story is too funny – good to know!! There are also other options you may consider. What is your reason for your interest in homeschooling? I personally think the public school system is aweful nowadays. I do not intend to send my kids to public schools to learn how to take a standardized test and I don’t think the curriculum is as challenging as it once was. I sent my son to Montessori school as soon as he could walk. I find the environment to be challenging and structured. I had thought at one time that i wanted to be SAHM, but after seeing him flourish and learn things that I would have never thought were on his level, I quickly decided that I wouldn’t have it any other way. I do work with my son a great deal at home, but he gets additional stimulation from kids and teachers at school. They are multi cultural, so he learns about other cultures and languages of which he would not otherwise be exposed. Kids learn from watching other kids and play dates don’t always give them the experiences they can gain from a school setting. So, on to our future education….I know that I don’t want to go to public school and our Montessori goes up to 1st grade. So what next? I started researching schools in the Austin area. Expensive private schools don’t fit into my budget and I have never been crazy about the idea of a religious based school. I have found that there are many private and charter schools in our area. Each one has its own philosophy about teaching and the cost is about the same as what I pay for Montessori now which is just a tad cheaper than day care. Some have waiting lists and some don’t. I have narrowed my list down to a handful that I would like to visit. Anyway, I feel like i’m rambling here, but my point is…keep in mind that there are other options besides homeschool, public school and expensive private schools. This really is one of the most important decisions we will ever make as parents and we should be educated about what is available to us. Whatever you do choose though should be what is right for you and your family. Not all homeschooled children will have social issues, and not all public school children won’t! Good luck with your decision! I home schooled my oldest daughter for preschool and we both LOVED it! In fact, when we first started talking about her entering into a private school, she pleaded with me to continue homeschooling! There are SO many resources out there for homeschooling parents, that it’s really not as complicated as it sounds. The complication for me, was in scheduling. I started working part time, so that we could have some extra income to do some fun things with/for the kids. As a result, it became increasingly difficult to find time to do everything I wanted to do. This year, my daughter started kindergarten at saud private school, and while I would have LOVED to have home schooled her this year, like Tanya mentioned, it’s just not an option for us this year. I’m still working part time from home and I just had baby #3. I would LOVE to hear from other working moms who home school, especially with multiple children. How do you do it?!! For our family, we are going to re-evaluate the question every single year. Who knows, maybe we’ll give it another whirl next year! For many years, when our now 14-year-old daughter with autism was in elementary school, we were given permission by our district to split her day. She went to school from 8:20-1 p.m. I would pick her up and bring her home, whereupon she’d work with her two tutors in two-hour segments, one from 1:45-3:45; the other from 4:30-6. We paid for the tutors out of our own pocket. Because I work out of my home, I was able to assist them when needed. Those early years for Paige (ages 6-10) were critical for Paige’s development. She learned everything from matching and her letters to appropriate behavior in a restaurant. The schoolteachers always seemed wary about what we were doing. I think some viewed it as a criticism. We countered that Paige truly learns best in a one-on-one situation, but that we wanted her to have the socialization and routine only school can provide. I have no regrets about the approach we took (though we could have paid off our house with what we spent on the tutors!). And I’m grateful the school district worked with us rather than fought us (I’ve heard horror stories!). As moms, we know our kids better than anyone, and know what they need. Whether it’s home school, private school or public, we should follow our hearts (and guts!) when educating our kids.